Geiz uses the power of Ghost to attack Sougo. Geiz says he has nothing against the present Sougo, but he must do this for the future. 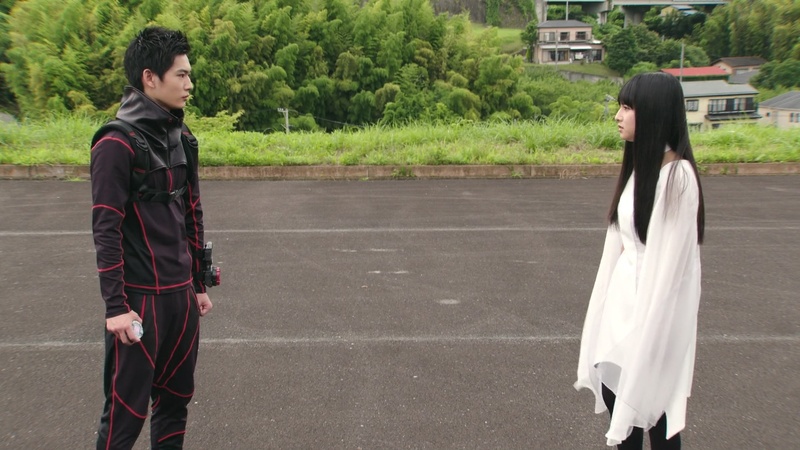 Geiz prepares a Ghost Finish Time Omega Time Burst attack at Sougo, but Tsukuyomi blocks it in her Time Mazine. Tsukuyomi tells Sougo to run for it. He notices a “bike” watch on his arm so he uses it to summon his bike. Geiz also has a bike and he chases after Sougo only to lose him when Sougo hides by the side of the road. Tsukuyomi finds Geiz who is upset with her stopping him from finishing off would-be-Oma Zi-O. He asks why she did that, but she isn’t sure herself. Elsewhere, Uhr taps the basketballer’s forehead and he rises. He inserts another watch into him and he’s back to being Another Build. Sougo runs into Woz again. 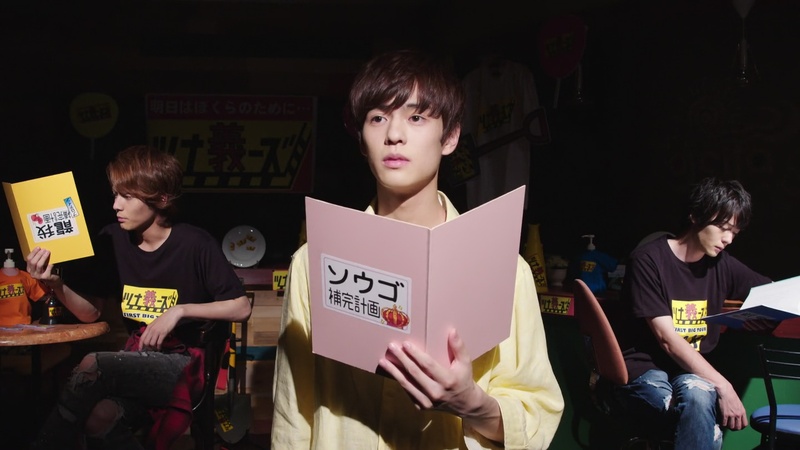 He introduces himself and says unlike Tsukuyomi-kun and Geiz-kun, he is Sougo’s ally. Woz says according to his book, Sougo will be crowed king of time by walking the path of military conquest. There are TimeJackers who are trying to prevent this from happening. “Is everyone trying to rewrite history?” Sougo asks. Woz says yes and that he is the only one who is trying to preserve the original timeline. He will do everything he can to make sure Sougo stays on the path to becoming the demon king. As they are walking along, Tsukuyomi and Geiz encounter Another Build sucking in some baseball players. Geiz initially says they should just ignore them, but he henshins after all and takes on Another Build. Sougo arrives back at the shop and is surprised to see Woz waiting for him. Woz says he forgot to tell him about Another Build, that is “Kamen Rider Build.” Sougo remembers meeting Sento and says Another Build is an impostor. But Woz says the TimeJackers have changed history and Another Build is now the real Build. Woz is not sure what has happened to Sento. But Sougo cannot defeat Another Build. He then tells him that Geiz is fighting it right now. Sougo hurries over and is able to shield Geiz and Tsukuyomi from Another Build’s baseball attack. Sougo asks if they’re okay before he goes over to fight Another Build. Tsukuyomi and Geiz are now really unsure if Sougo is indeed the Oma Zi-O they know. Sougo delivers a Time Break kick at Another Build. But another Another Build just pops up. Sougo realizes he must find the real Build so he hurries off. Sougo heads to Nascita and opens the fridge door… only to find a fridge. Just then, two familiar faces walk into the café, excited after having just attended a Tsunagizu concert. Sougo approaches them, but they don’t remember him. Sougo says he’s from the future and asks if he can borrow Build and Cross-Z, but they have no idea what he’s talking about. Geiz is able to destroy another Another Build. 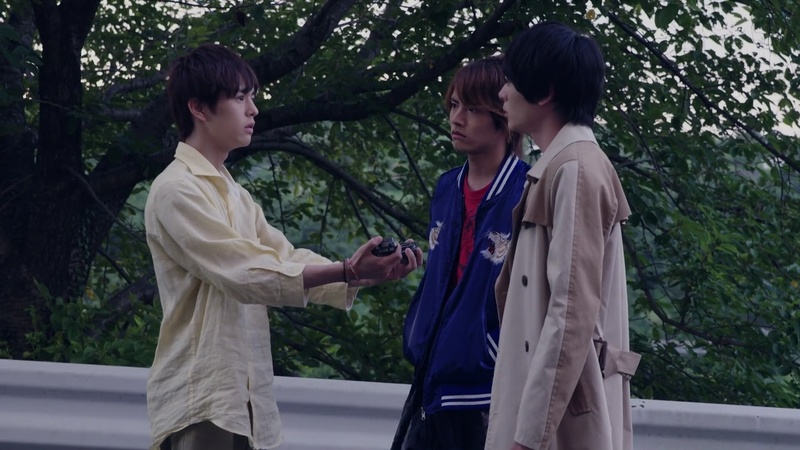 That seems to snap Sento and Ryuga out of it and they pull out Watches from their pockets. 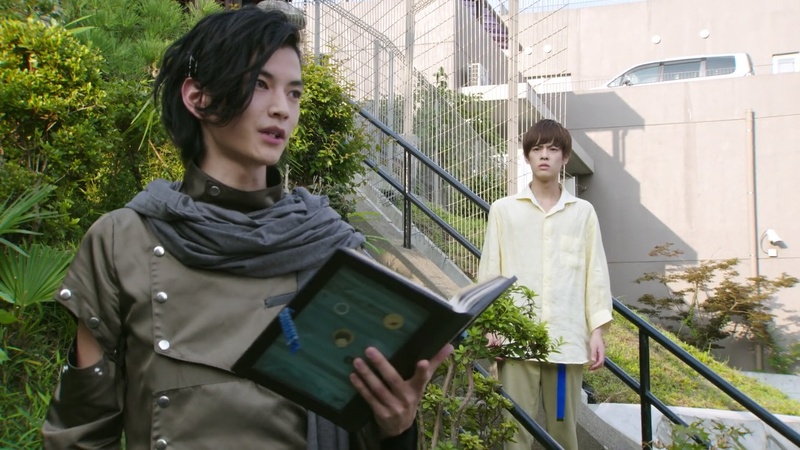 Sentumi seems to remember something and hands the now filled Watch over to Sougo, telling Ryuga to do the same. Geiz is forced to dehenshin. Sougo arrives and he has realized what they have to do. He hands Geiz the Cross-Z Watch and says they must go back in time to fight Another Build… with Build. Sougo and Geiz hop into their Time Mazines and make their way back to 2017. Another Build continues rampaging and sucking people into Bottles. Sento and Ryuga arrive. Another Build runs over to Ryuga and hugs him as they are a Best Match. Ryuga pushes Another Build off of him and runs over to Sento. 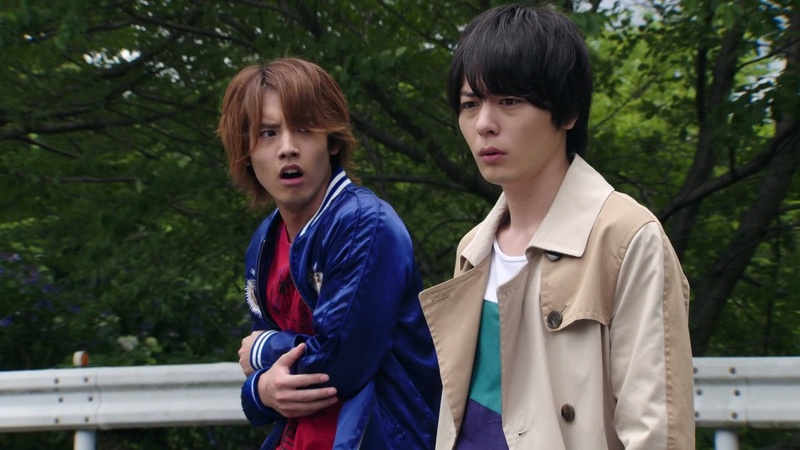 Sento and Ryuga henshin, but their power appears to be unstable. Another Build swallows the swimming and archery Bottles it made earlier and attacks Sento and Ryuga. But Sougo and Geiz arrive just in time. Sento and Ryuga run towards Sougo, but Uhr appears and freezes them. He asks Sougo not to interfere in their efforts to bring about a new king. Sougo realizes Uhr is a TimeJacker. Uhr introduces himself and explains how he changed the should-be-dead-basketballer’s timeline and made his time start again. Sougo says while the hands of a clock can be stopped, started and turned back, human life cannot. And the basketballer is the only one who can decide his own future. Uhr says that’s a very interesting thing for him to say, but it’s very Zi-O. He looks forward to seeing what future Sougo decides for himself. Uhr leaves and Sougo and Geiz henshin. 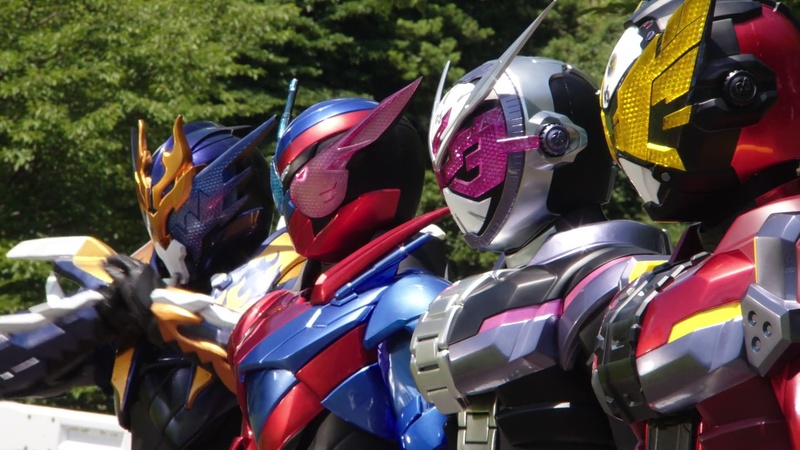 The four Riders stand side by side, but Sento and Ryuga are forced to dehenshin. They say their powers are disappearing, so they will leave the rest to Sougo and Geiz. Another Build takes Sougo into the ground, but Geiz uses his Ghost Watch to save Sougo. Sougo realizes he can use the Build Watch as well. Woz appears and says that using the Watch means Sougo has accepted inheriting Build’s power. He says that according to the book, Sougo’s victory depends upon taking the responsibility that comes with that power. Sougo accepts. He locks the Watch into his Driver and gets his Build armor. Woz proclaims Sougo’s inheriting of his first Rider power. Sento shows Sougo how to do his pose before Sougo charges at Another Build. Sougo and Geiz work together to wear Another Build down. Sougo tries what Sento whispered for him to do. He pretends to crank his Driver and he delivers a Vortec Time Break at Another Build with Geiz’ Extreme Shot helping to finish him off for good. The basketballer is back in his regular human form and the Another Build Watch is destroyed. Geiz asks Sougo why he had the Build Watches since they’re not supposed to have them in the first place. Sougo asks Sento to take the two Watches. Sento says his name is Katsuragi Takumi. But he’ll take the Watches just the same. Sougo tells Geiz that he doesn’t know what’s going on, other than that the blank Watches will become the Build Watch in the future. 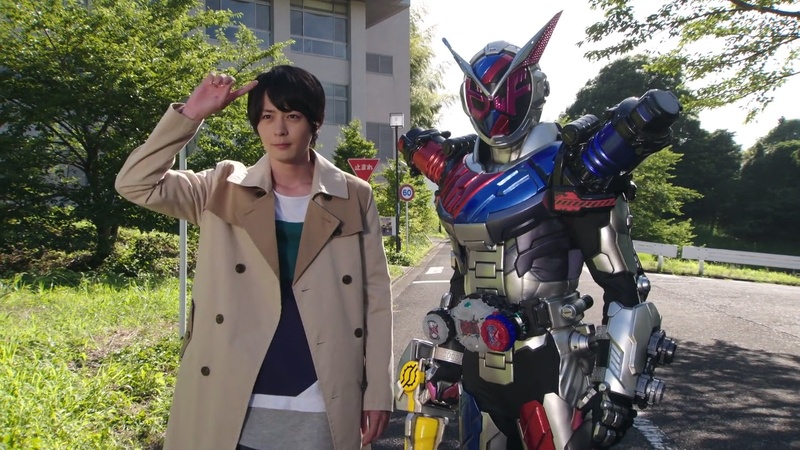 Even if history changes, Sento will still choose the path to becoming Build and Ryuga will still become Cross-Z. 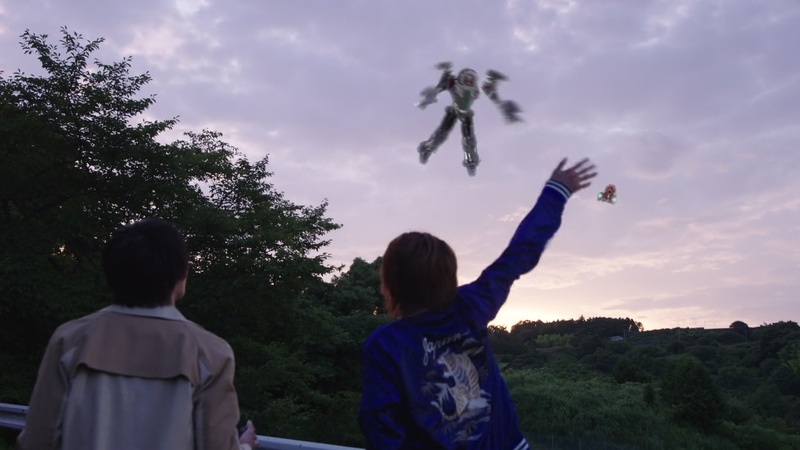 Takumi and Ryuga wave goodbye to Sougo and Geiz as they fly back to 2018. Back in 2018, Geiz and Tsukuyomi are still confused about Sougo and how he could become Oma Zi-O. Geiz notes that Sougo defeated Another Build, but Kamen Rider Build disappeared from history. And Sougo obtained the Build Watch. Thus, he’s still on the path towards Oma Zi-O. Next morning, Uncle Junichiro wakes Sougo for breakfast and introduces him to their two new boarders… Tsukuyomi and Geiz! Tsukuyomi says she will be observing Sougo closely to see if he really will become Oma Zi-O. Geiz, meanwhile, warns Sougo that he’s just itching to take him out. Woz teases that the next legend Rider guest star is Emu! 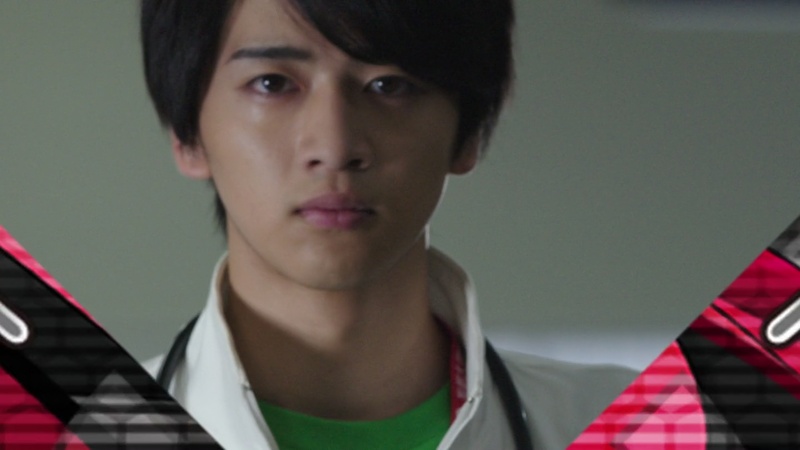 Sougo has some questions, so he heads back to Nascita to talk to Sento Takumi and Ryuga. 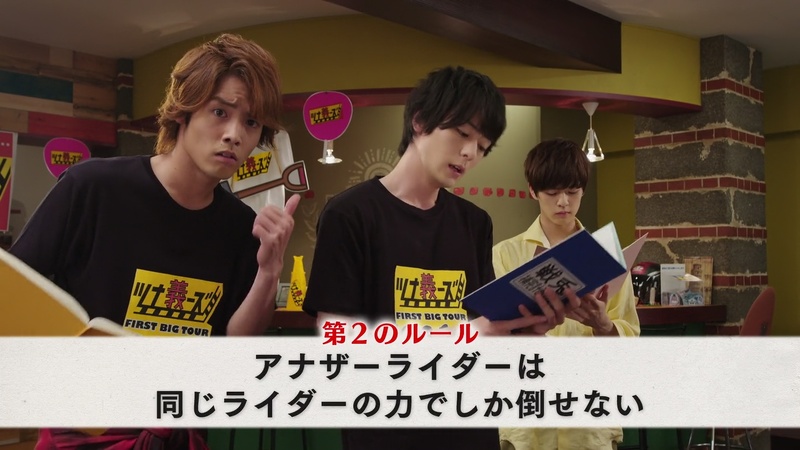 Sougo wants to know why Build’s power disappeared and why Takumi is no longer Sento. Takumi says there are three rules. Rule #1, the same Rider’s power cannot coexist in the same time. So two Builds cannot exist together which is why Uhr changed the past to create Another Build resulting in Sento no longer being Build. 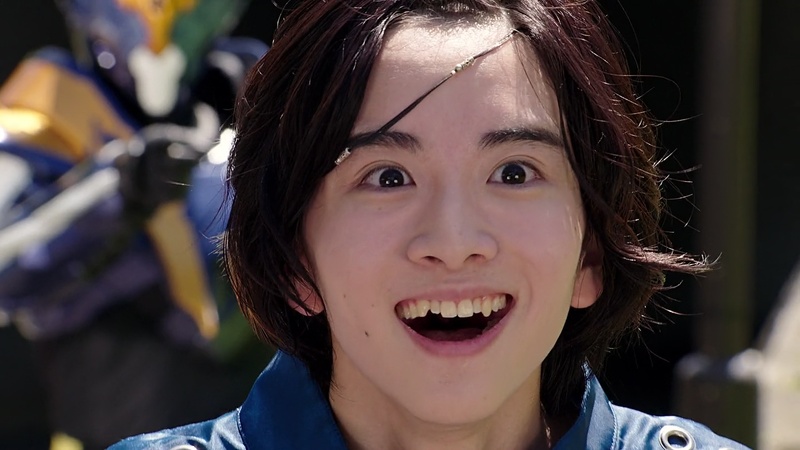 The timeline that had Katsuragi Takumi becoming Kiryu Sento is now gone. That means the Build season no longer exists. But when Another Build is defeated, the timeline is restored until another Another Build appears. Rule #2 states that Another Rider can only be defeated by the same Rider’s power. That is, Another Build can only be defeated by someone who has inherited Build Armor. Sougo asks why that is. “Hell if I know!” Takumi says and he suggests everyone keeps watching every week to find out why. Ryuga has a question though. Takumi became Sento after the face change. So why does Takumi now have the same face as Sento/Satou Tarou. Takumi changes the subject and gives Rule #3, Don’t ask questions and accept things as they are or you’ll get kicked by a horse. Like, do I even want to try and understand how the time traveling works and which timeline we’re in now and how it affects previous seasons and if whether or not Sento Takumi and Ryuga got married and are the biggest Tsunagizu fanboys ever? I mean, what in the world is going on?! So many things getting thrown at us! I don’t even know where to begin! So, I liked the first episode. It was fun and had that little bit of nostalgia (of a show that just ended the week before lol) that you look for in an anniversary season. But then this episode comes along and things have changed and the butterfly effect kicks in and that’s where things start to get crazy. What’s even crazier is that Episode 2.5 seems to spell out some important exposition that really should be in the main episode and would’ve at least eased some of that confusion as well. That and the “Don’t ask questions or you’ll get kicked by a horse.” rule too which I think might be very good to keep in mind all season. lol Honestly, after this episode, I kind of take it like the Movie Wars and Super Hero Taisens and various crossovers, I guess. All of this can be in continuity if you want. If you don’t want it to be, then it won’t. That’s a little disappointing though. That we basically just have to go with it and not overthink things or find reasonable explanations and stories that make sense. Of course, I wish and hope everything can fit in the greater Kamen Rider universe. But I know that’s a very high expectation. But even accepting that things aren’t going to fit perfectly, the basic mechanics of how this season will work really got fuzzy this episode. Very strange. It seems like things moved a little too fast and we’re getting too much stuff all at once. Obviously, they aren’t going to reveal everything now. Not everything is going to be explained in the first two episodes. But I think they could’ve used some time to slow down and solidify the basic premise first. I dunno. I still enjoyed the episode even if I had no idea what was going on. 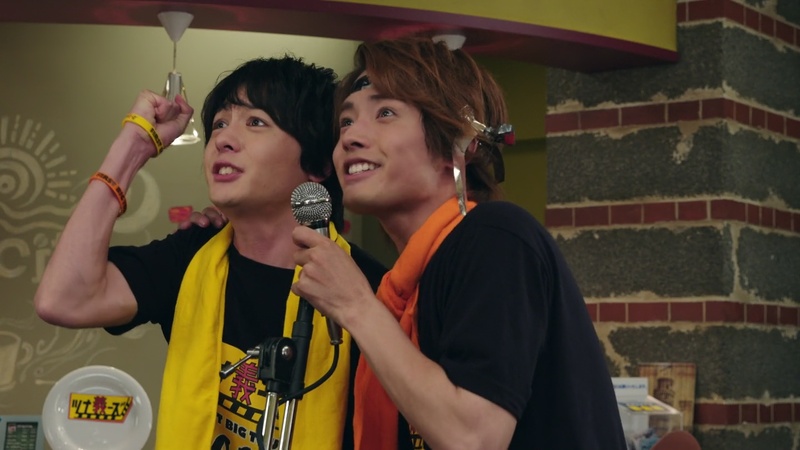 lol Maybe it’s because it was fun seeing how they are going all in and playing up the geiz… I mean, the bromance between Sento and Ryuga. The jealousy, the opening up a cafe together; it was fun. 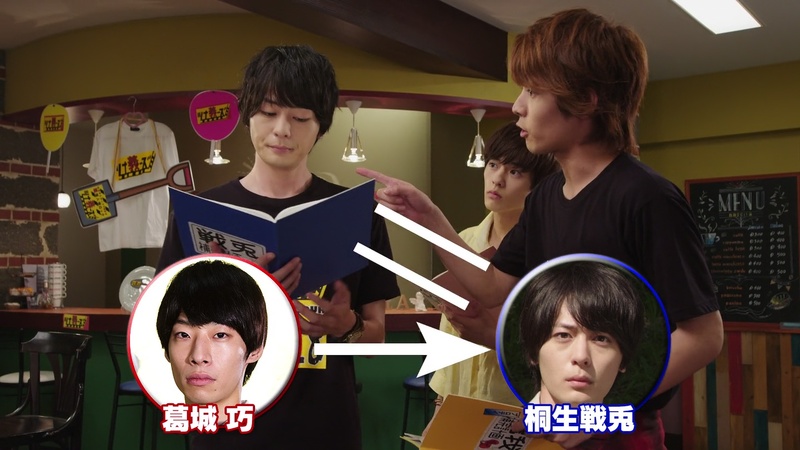 The parallel they were drawing between Sento/Ryuga and Sougo/Geiz was the probably the only thing I understood. lol And I have a feeling Sougo will be learning a great life lesson from each of the legendary Riders he meets. Should be interesting to see how long Tsukuyomi and Geiz have to “observe” Sougo until they come to a conclusion about what they do to him in 2018/2019. Overall, while I enjoyed watching this episode, I am definitely confused and a little worried about how things will play out during the season. But it is only Episode 2. I think that feeling of confusion was made worse by how confusing some of the plot transitions were. They just run off after fighting Another build, and then, boom! they’re already one back in the past. I get the Time Machine explanation and all, but the transition still feels awkward. There is also some confusing aspects of how they depict the alteration of the Build history. I’m still on the fence on this one. The premise is interesting enough and they seem to be going for a more lighthearted tone, which is good considering how heavy Build turned out. The cast also seems entertaining enough. But some elements are still too confusing for me to really get into the series. Oh, and my manly sentiments are confused by the fact that Uhr is a boy, lol! Since these are just the first two episodes, they always try to squeeze in a lot. So hopefully they can slow down and things become clearer.